I bought this Revlon polish at least 4 months ago haha... It's about time I dusted it off! It's a black jelly with hot pink glitter of all sizes mixed in! It took two coats for full coverage, and was fairly easy to deal with. 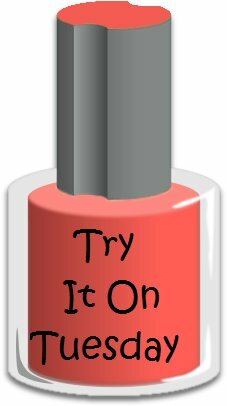 It is a bit bumpy, even after a top coat. 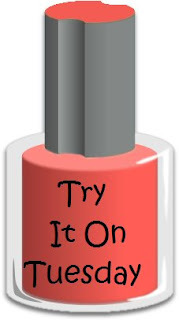 To see a list of all the participants in Try it On Tuesday, head over to Jilltastic Nail Designs. She has a list for every week! This is definitely on my wish list now!!!! Need to get this!! I've been eyeing it for a bit now!